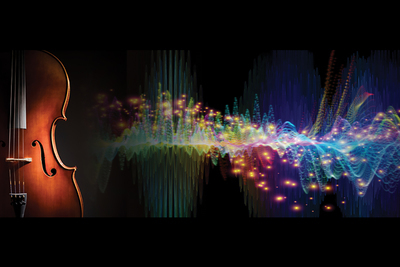 “Quantum Rhapsodies” combines a narrative script, video images and live music by the Jupiter String Quartet to explore the world of quantum physics. The performance will premiere April 10 at the Beckman Institute for Advanced Science and Technology. CHAMPAIGN, Ill. — A new performance that explores the world of quantum physics will feature the music of the Jupiter String Quartet, a fire juggler and a fantastical “Alice in Quantumland” scene. 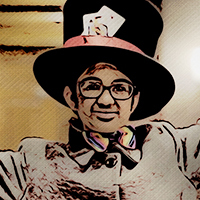 An “Alice in Quantumworld” scene shrinks University of Illinois researcher Rohit Bhargava and his young daughter so they can explore the subatomic quantum world. The performance will premiere April 10 as part of the 30th anniversary celebration of the Beckman Institute for Advanced Science and Technology. The event begins with a 5 p.m. reception, followed by the performance at 6 p.m. and a meet-and-greet with the show’s creators at 7 p.m. The performance will be in the atrium of the Beckman Institute, 405 N. Mathews Ave., Urbana, and it is free and open to the public. While the available seating is filling up, the atrium space will allow for an immersive experience in spite of potentially restricted viewing. While “Quantum Voyages” was a live theater piece, “Quantum Rhapsodies” combines narration by Bright, video images and live music from the Jupiter String Quartet. It ponders the wonder of the cosmos, the nature of light and matter, and the revolutionary ideas of quantum physics. A central part of the narrative involves the theory of Nobel Prize-winning French physicist Louis de Broglie that matter, like light, can behave as a wave. A fire juggler, filmed at Allerton Park, represents the concept of light. 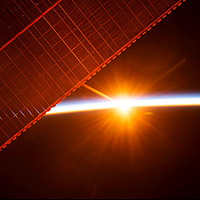 Satellite imagery such as this solar panel is used to illustrate concepts related to the cosmic world. Some ideas required conceptual images, such as footage by Morse of a fire juggler at Allerton Park to represent light and of hands moving to depict the rotational behavior of water-based hydrogen within a person in an MRI machine. Motion was incorporated into a painting of a lake to show water rippling and light flickering across it to illustrate light waves. 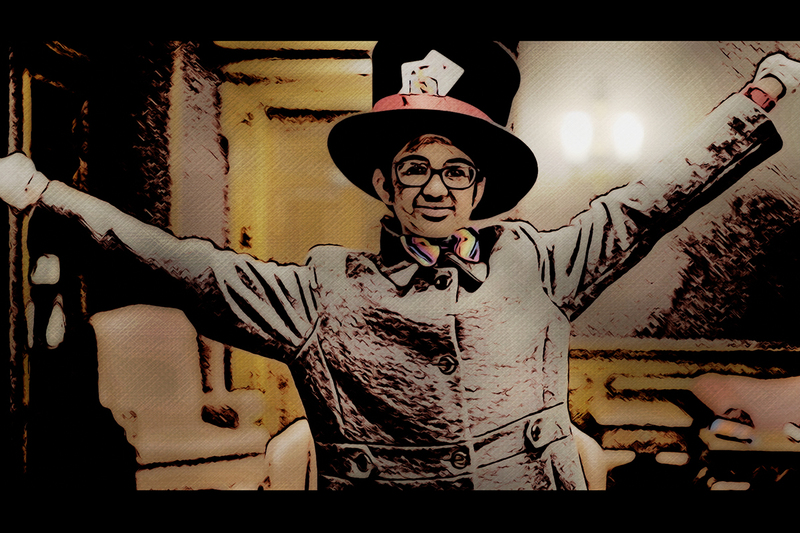 In the “Alice in Quantumland” sequence, a Mad Hatter’s tea party filmed at the Illini Union was blended with cartoonlike animated elements into the fantasy sequence by Jose Vazquez, an illustrator and concept artist who works in the Visualization Lab. 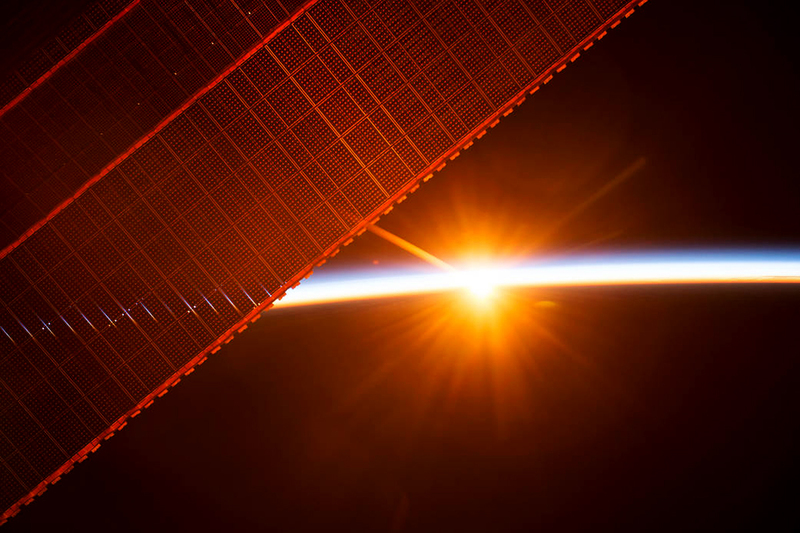 “My hope is not necessarily for people to understand everything, but to infuse curiosity and to feel the grandness and the beauty that is part of who we are and the cosmos that we live in,” she said. Editor’s notes: To contact Smitha Vishveshwara, email smivish@illinois.edu. Learn more about how “Quantum Rhapsodies” was made in this behind-the-scenes video.